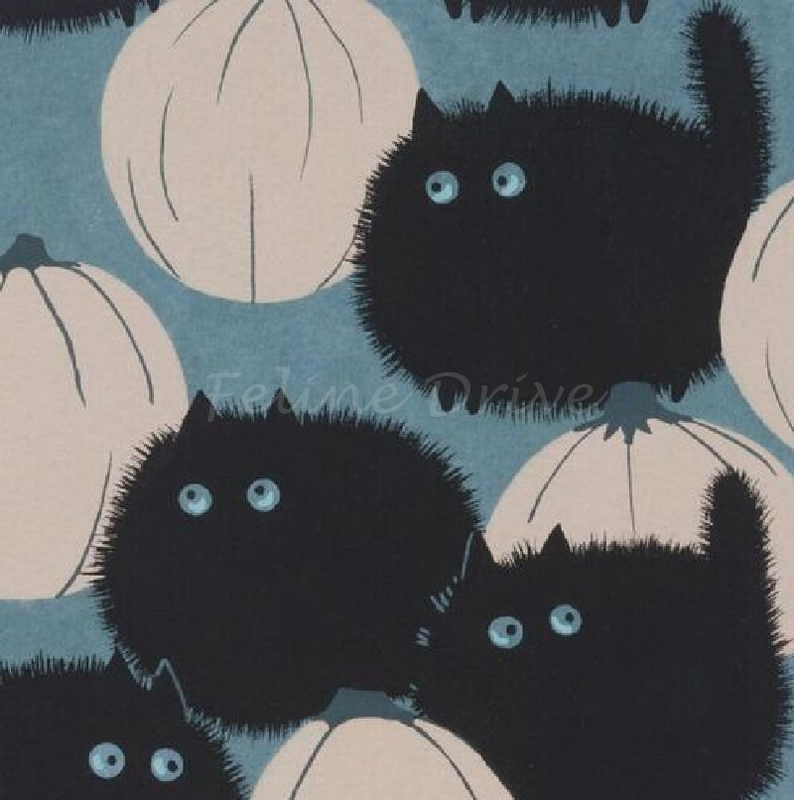 In the Haunted House collection from Alexander Henry, Belinda is a witch and these plump kitties who resemble the pumpkins they are next to belong to her! 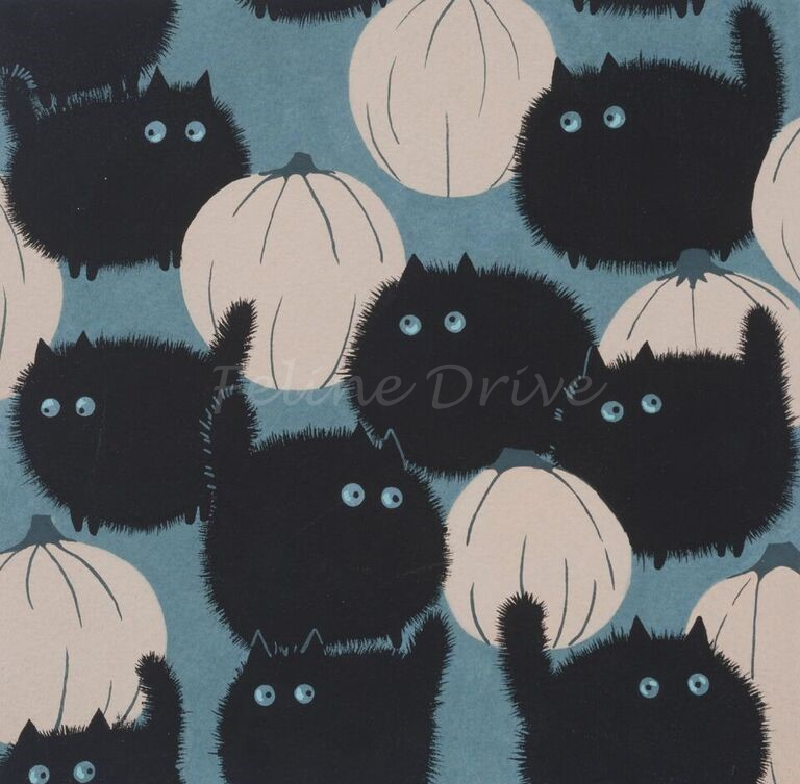 This fabric features black cats and taupe pumpkins on a stone blue background. Print Size:Cats are approximately 1.5" to 1.75" across.